We have learned, mostly by trial and error, how to bake breads from grains grown and ground in New York state. 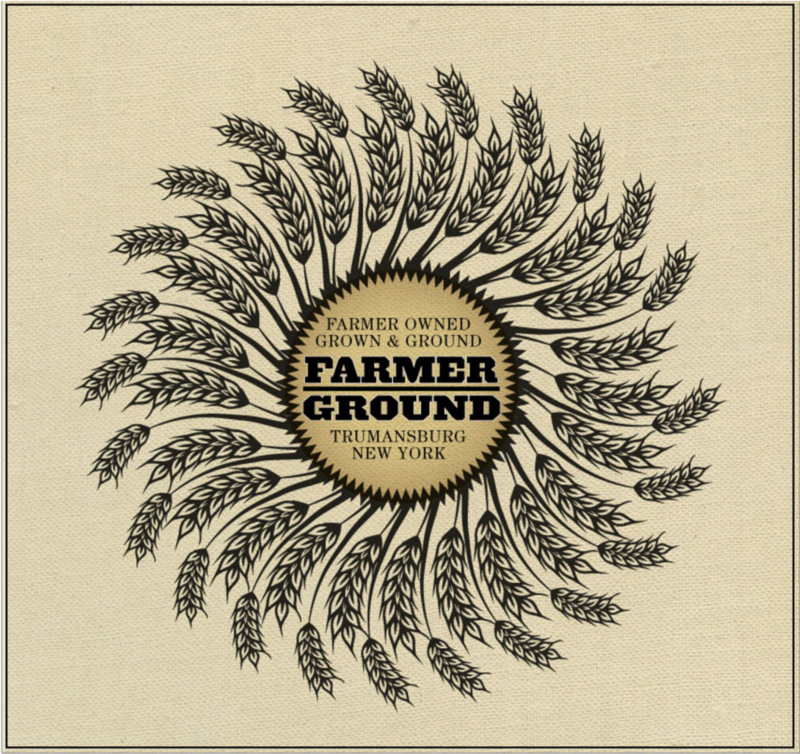 We work closely with Farmer Ground Flour, a small organic mill in Trumansburg. 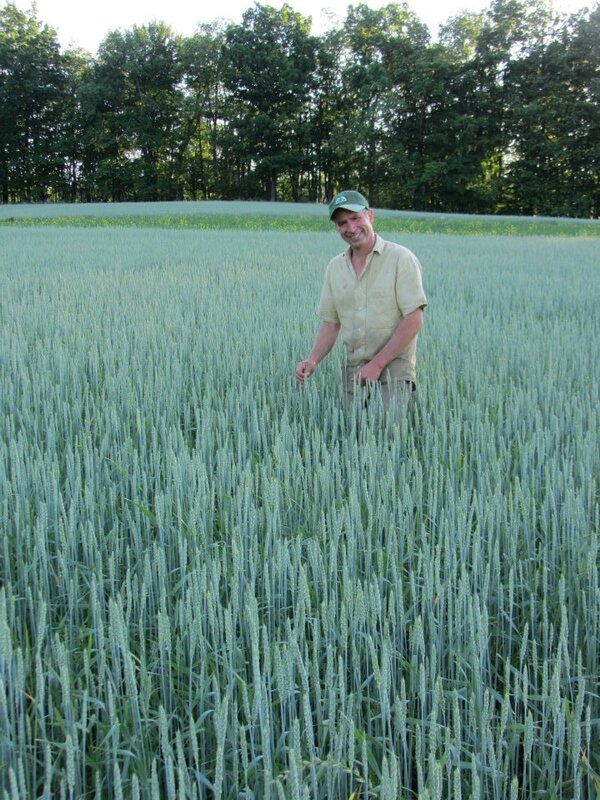 Most of the flours we use are ground from grain grown in Newfield and Lansing by farmer Thor Oechsner. This is important to us, in part because it means we can help sustain viable markets for our local farmers, and in part because it means we, and you, know how our grain is grown and ground. And it means that our flour is fresh. Whole-grain flours, which can become rancid if stored for too long, are available freshly milled. Different local varieties of wheat have their own flavors and fermentation characteristics, which can become part of the our creative palette. Local grain work is important for the sustenance of the local food economy. The sensitivity required for high-quality baking with local grains enriches the baker's life, and thus the life of the entire community. There are lots of reasons to celebrate the return of local grains to our lives! And! If you would like to know MORE about flour and the local grain movement that’s SWEEPING THE NATION! !, take a look at THIS! Is it TRUE that we were guests on the MARTHA STEWART SHOW talking about flour? Why YES! That is true! Farmer Ground Flours are all stone-ground and do not contain additives of any kind: no enrichment, no enzymes or malt, and no ascorbic acid. Nor has it been treated in any way. In our experience, Farmer Ground Flours make astonishingly good sourdough breads. The acids produced in the sourdough fermentation bring additional strength and to the dough, making it easy to work with. The high mineral content of the flour allows the acidity of the dough to reach relatively high levels before fermentation slows. This is our foundation flour, and we use it in most of our breads. It is an 85% extraction flour, and it has a lovely off-white to brown color. The flour ferments actively and aromatically, and it is generally strong and easy to work with. This is another staple in our bakery. It is the flour we use to feed our sourdough starter. We also use it in our German-style Rye, or Vollkornbrot, and mixed with other flour to make our Pain au Levain and Sunflower Farmer's Bread. Farmer Ground Rye is 100% whole rye, unsifted. This is a great flour for adding a little sweet, nutty flavor to bread. It is 100% whole-grain spelt consisting of nothing more than the ground grain. We tend to use this in conjunction with other flours to create a dough that is silky yet strong and to give the loaf a tender crumb. This is 100% extraction wheat flour. It is significantly darker than High Extraction flour, and when fully baked, it is extremely flavorful. Beautiful cracked corn, luminous and golden. We use it in all our polenta breads—alone or paired with flax, black pepper, or rye. Delicious.